Alright, so there is a bunch of stuff flying around in regards to the assault controversy at Seungri‘s Burning Sun club, and I’m going to do my best to get you up to speed. Following the club’s statement trying to explain things, apologizing for the assault, and firing the executive involved in the beating, it was revealed that the victim had two complaints filed against him with the police for sexual harassment at the club, along with CCTV evidence of an incident. The female sexual harassment victim alleged that the assault victim kept following her around until he suddenly grabbed her, and that’s when she tried to get away from him. The assault victim denied her claims. Given that the assault victim claimed he was protecting a woman from being sexually harassed before being attacked by club security, it’s hard not to wonder if anything else about his story was inaccurate. Meanwhile, in a report by KBS, the charges against the club other than the assault were expanded on. Former and current employees talked to the reporter about drug use in the club. Importantly, these come from a source that’s not the assault victim. While I understand the perception of drugs in Korea, unless the club was actually dealing marijuana (or more serious drugs were being used), I’m not all that into feigning shock and horror of people smoking pot at a club, especially anybody who claims they were forced to smoke weed. Of far greater concern should be the allegations of some kind of drug distribution network/any drugging of women/police bribery issues. On that front, MBC‘s ‘News Desk‘ has reported that multiple sexual assault victims have come forward to describe their experiences at the club. These are the allegations that people should be focusing on, and hopefully they get looked into. Thankfully, apparently the police are at least investigating the various accusations against the club. The obvious problem with this is that if you do believe the police are being bribed, then the police clearing themselves would not be satisfactory. As of now, I don’t think it seems that way, but it could definitely change if other stuff emerges. Additionally, a former employee told KBS that Seungri knew about the assault case. This isn’t necessarily in direct conflict with a former Burning Sun employee saying that Seungri was in more of a figurehead for publicity role than any type of active management, but obviously if your name is gonna be linked to the club then it’s hard to wash your hands of things that happen in it, especially so if it turns out he did know about unsavory things going on. Meanwhile, YG Entertainment released a statement basically reiterating that Seungri was not there when the incident occurred and also saying that Seungri resigning from the club was related to his impending military service and that he is resigning elsewhere as well. That’s a bit hard to believe as a coincidence, honestly. Regardless, he says Seungri will give a statement after things settle a bit, and adds that he was drug tested and it came back negative. Though I’m not sure anybody accused Seungri of using drugs directly, and him not coming out to address this is only piling on the criticism. The latest update seems to be a video that goes through a lot of what has already been tackled in terms of the assault victim being accused of sexual harassment and him initiating the mess with police, as well as the woman being dragged through the hallway being a belligerent patron. 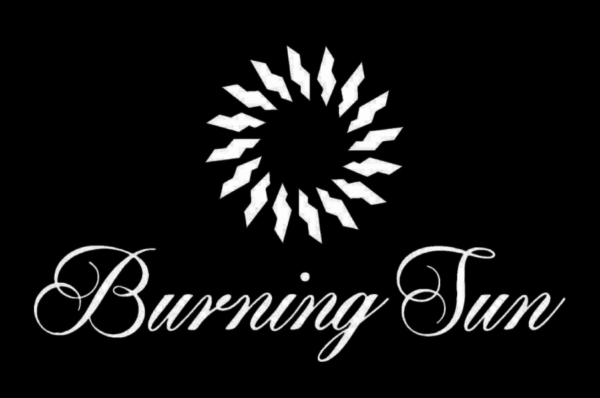 The relevant part is that it also discusses a former male employee of Burning Sun, saying that this person stalked a female coworker and issued threats and damaged her car, evidence of which is posted in pictures within the video. This former employee supposedly contacted the assault victim and provided him with the CCTV footage of the woman who was dragged through the hallway, telling him a false story of her being drugged. The video supposedly shows the two making a deal, the former employee saying he can ruin everybody involved by using Seungri’s name. If this seems all too convenient, you’re not alone. However, to be fair, it would answer my question of how the assault victim got any club CCTV footage to begin with. As far as what to make of all this, it’s honestly hard to say. Mainly what we know is that a man was assaulted using excessive force by security at Burning Sun, something the club has apologized for and has fired a director for. What we don’t know is … uh, basically the rest of it. There’s such a wide variety of outcomes here depending on what ends up true and what ends up as people attempting to control the perception of the scandal.